It’s summer, let’s dream about Martian sand! 3D printing has proven many times how revolutionizing it is for production. In this article, by discussing 3D Printing in the context of Mars exploration, we’ll see that it can go much further: when we manage to broaden the list of materials available to us, not even the sky will be the limit. 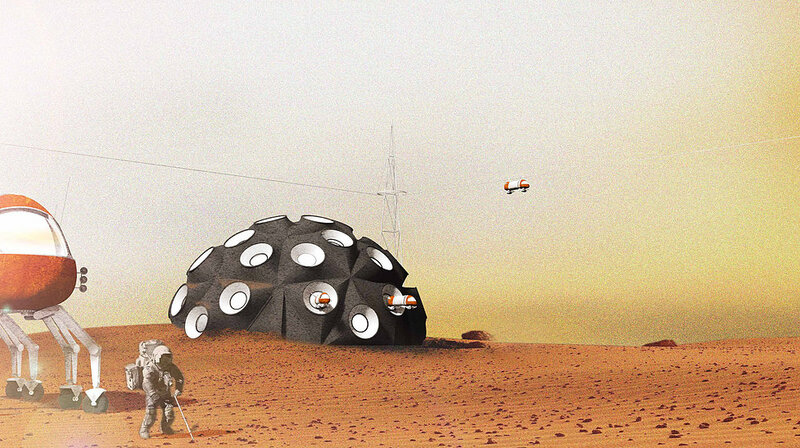 Literally: by using materials like regolith, a layer of rock and dust covering the surface of Mars, the ThinkTank Mars City Design plans on 3D Printing a prototype Martian base in the Mojave desert! What is Mars City Design? 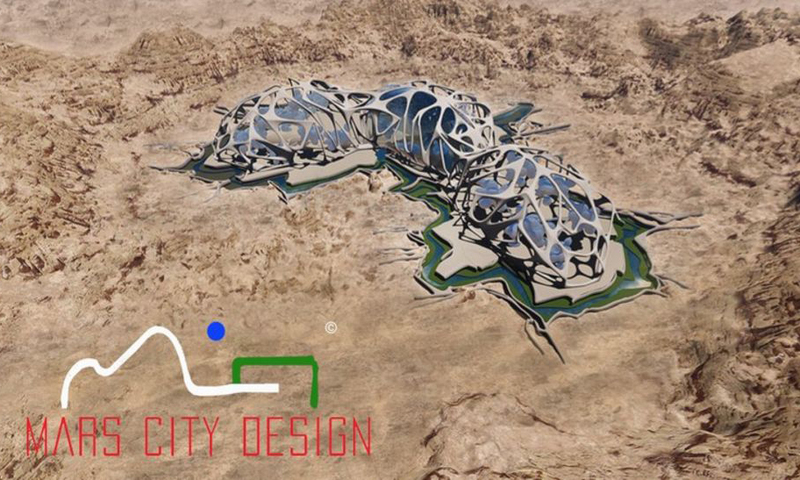 Mars City Design, the “innovation platform for creating future cities on Mars”, is a think tank created in Los Angeles by Vera Mulyani, who always dreamt of becoming an architect of Mars. Their ambition is to join various talents in order to design a possible, sustainable life for humans on Mars. They recently managed to crowdsource over $30,000, which will allow them to organise their first workshop, Power Lab. This workshop will take place in September, in the University of Southern California: during two weeks, top engineers, designers and architects from all over the world will get together to discuss how to sustain life on Mars. What is their 3D-printed Martian base project? This workshop was preceded by an international design competition: participants had to submit concepts for Mars bases. The three finalists will have the opportunity to think their project further during the two weeks of the summit, and, over the last three days, to have them 3D printed to scale at Reaction Research Society’s test area in the Mojave desert. This project is fascinating, of course, because it gathers talents from all over the world on a project that takes us to space, and to the furthering of research, science, and humanity. But it also allows to think, in very concrete ways, about the furthering of the technology we use here and now, and the possibilities it comprises. The fact that this project relies on regolith, the material that covers the surface of Mars, lets us imagine uses of sustainable materials here on Earth. Markus Kayser’s Solar Sinter project is one example of this. 3D printing will allow us to explore space, build on Mars, and make the most of our resources on Earth! That’s what the latest NASA report on the subject states, and that’s the belief the Mars City Design challenge relies on. Do you want to learn more about how 3D printing can revolutionize architecture? Check out our page and blog article about it. For an article about how 3D Printing will revolutionize space travel, it’s this way. And that’s not all! 3D printing impacts education, retails, fashion… Read about it all on our Applications page.